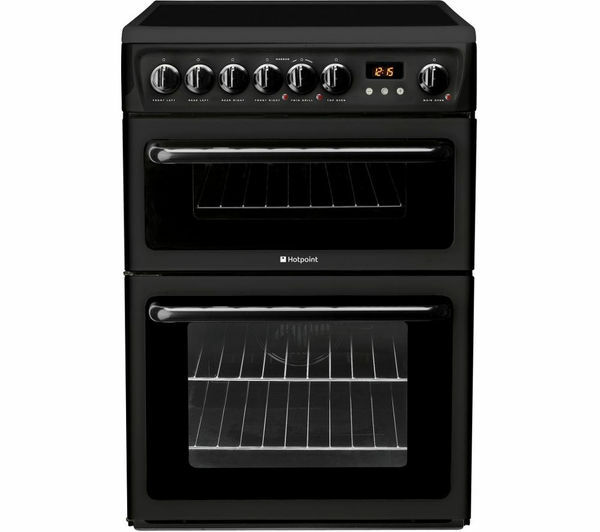 Enjoy great home cooking with this versatile and stylish graphite Hotpoint HAE60GS Electric Ceramic Cooker. 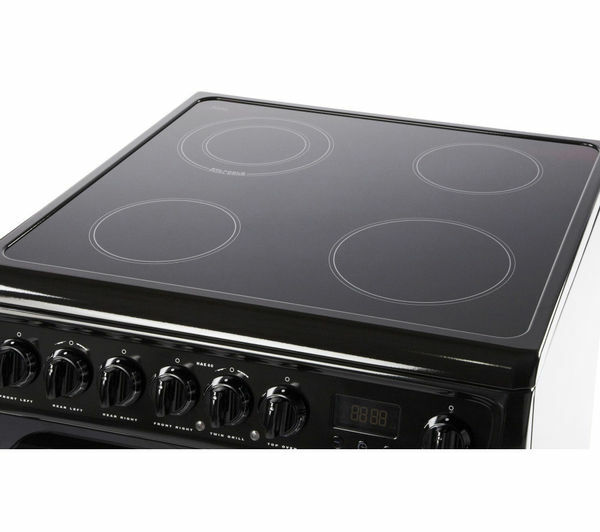 With four cooking zones available on the electric ceramic hob, you'll be able to comfortably accommodate a wide variety of pots and pans. Simple to control and providing excellent levels of heat, you'll be able to fry, boil and sauté your favourite dishes quickly and easily. With a smooth and level surface, it's easy to wipe the hob clean after use with residual heat indicators letting you know when it is safe to do so. 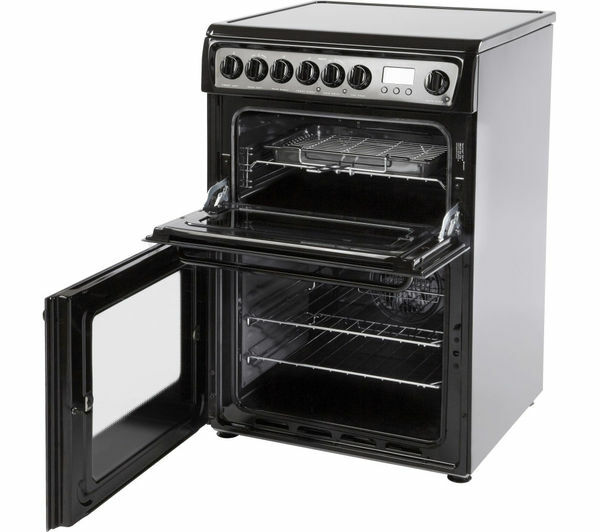 The main cavity in the HAE60GS is a large 71 litre electric fan oven. Big enough to accommodate large joints of meat and poultry, fan heating makes sure that whatever you're cooking benefits from dynamic and even heat distribution. 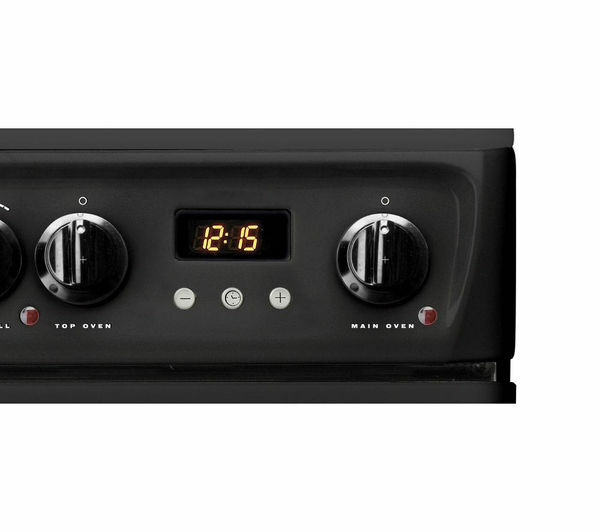 Programmable and coming with a minute minder, you'll be able to manage your cooking times easily and ensure that you always get perfect results. A double glazed viewing window, shelf stopper grids and fan cooling all help to make cooking with this oven a safe and hassle free experience. The second cavity hosts a 42 litre variable grill. Perfect for preparing tasty meat and fish dishes, it is also ideal for giving your cheese on toast a deliciously browned top! Cleaning up after cooking is simple thanks to catalytic liners. 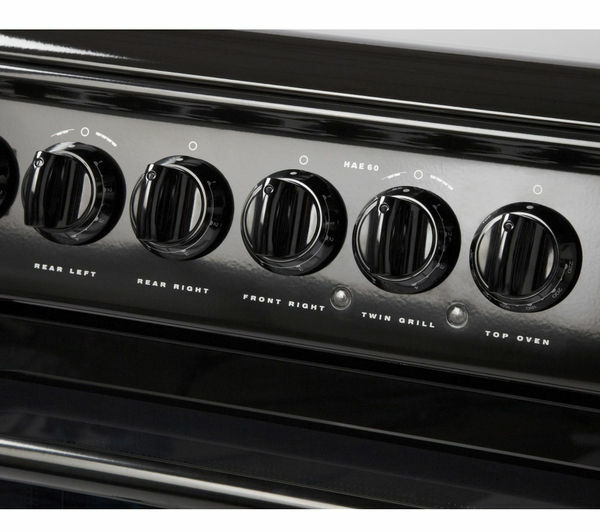 These work by using the heat of the oven to incinerate the grease and fats in any spills. By breaking down any stains and spills automatically during everyday use, you're left with the simple task of wiping away the remaining residue. 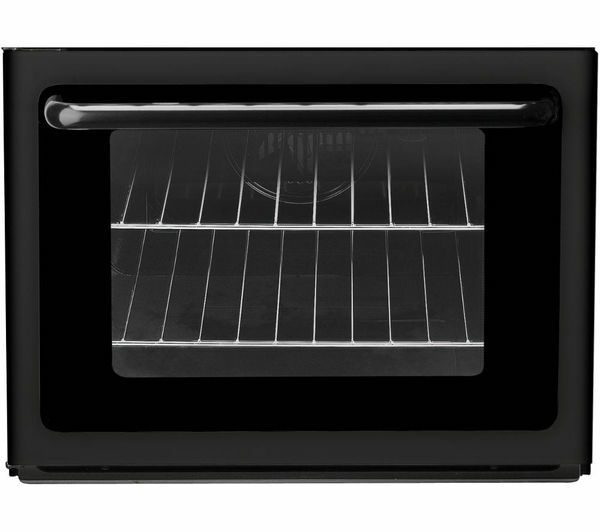 Make cooking up a treat in your kitchen a simple and enjoyable affair, with the graphite coloured Hotpoint HAE60GS Electric Ceramic Cooker. Express yourself in the kitchen. Hotpoint and Jamie Oliver have teamed up to deliver innovative appliances that make cooking simple for any passionate baker, roast aficionado or comfort-style cook. Love your food and eat better whether you're entertaining or making everyday meals.